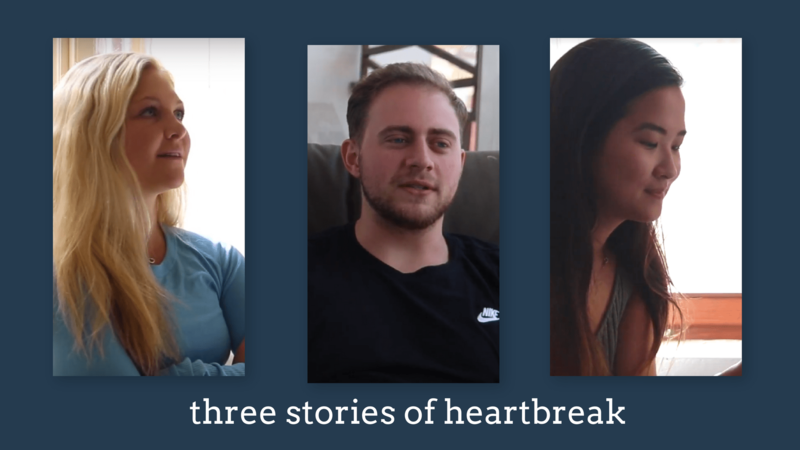 This video shows different forms heartbreak can take on within people. We were interested in discovering the layers of unique forms of heartbreak. We tell three people’s vastly different stories, yet they are all linked with the universal theme of heartbreak.